Located in Bel Air's prestigious lower Roscomare area, enter this private gated estate through a stunning grand entrance that reveals an open floor plan with smooth indoor-outdoor flow in every room. Minutes from world-class dining, shopping and entertaining; including the Bel Air Country Club and Rodeo Drive. Equipped with the latest and greatest amenities, this Smart Home is ideal for entertaining and easy living with an elegant living room, formal dining room, kitchen with Italian marble, wine cellar, bar and more. Perched above, sits a cozy 2nd story family room that overlooks the entire first level. 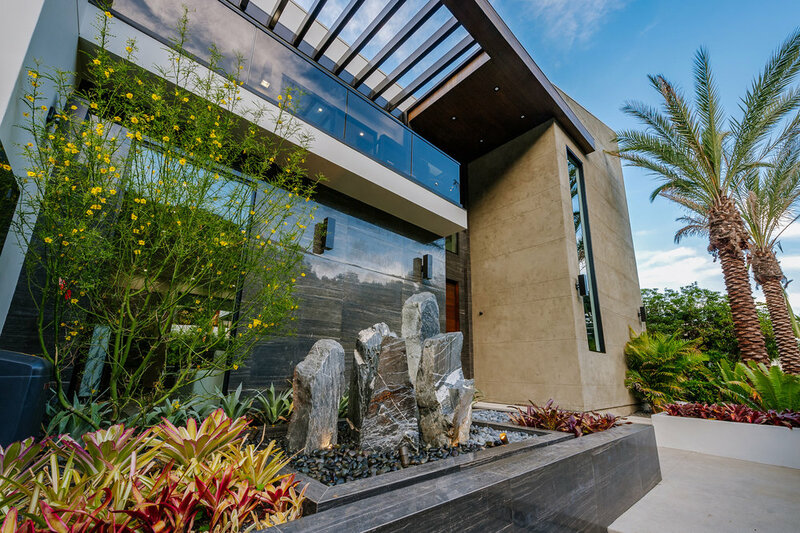 Exuding sophisticated style, this modern home features 4 onyx fireplaces, hardwood floors, custom stone, geometric themes, stunning light fixtures and Fleetwood pocket doors throughout. The spectacular master suite includes his/her duel closets, en suite bathroom and private balcony. Surrounded by high hedges, enjoy private outdoor space with 30 ft. waterfall, pool, spa, outdoor deck, dining alley and lawn. View the virtual tour and movie below. Co-listed with the Williams Estates Group.